The holidays are over. Gone are the days where we used to lie in bed until noon and sip hot chocolate at 10 PM. Soon, we will be back to face the hustle-bustle of the metropolis. As many of us know, there is a jungle out there. Crimes happen all the time. Since I was in college, I dread the possibility of someone taking my stuff. Metro Manila is infamous for all the snatching and hold-up incidents. Some cases included the victim dead. I remember that I always take note of the places where hold-up incidents happened and try to, as much as possible, to avoid those streets. Believe it or not, I try my best to be cautious. Then, when I started working, I ride the MRT everyday. Fastest way to get to the office but definitely not the safest, especially during rush hour. So, I try to think of ways on how I can avoid robbers and snatchers from doing their crime towards me on the rails. Below are some of the things that I commonly used to prevent “holdap”. They say that your smartphone is one way of determining your economic status or your capability to purchase. I say that it is the quickest way for snatchers to look for their next target. It is never advisable to use your smartphones, or any high-end device, in public as it can attract attention of lawbreakers, especially if you own the latest iPhone 5S. I love my smartphone, too, and I would really cry if it gets lost or stolen. What I do is, I have two phones. One is my smartphone and the other is a low end handset. The latter should be a brand or a model that you will not pine for once taken. 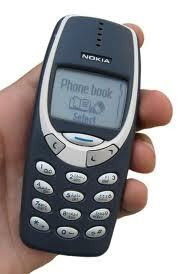 It can be your ever so reliable Nokia 3310 or a China phone. The low end handset is what I use in the public while my smartphone is tucked away in the safest corner in my purse. I gave the number to people to whom I talk often like my partner, my family, and some business contacts. Thus, I can answer their calls and concentrate on the conversation without worrying that someone is already locking me in as their target. I love music. Everybody does. However, I think that pulling out my iPod Touch 5th Gen in public is very risky. The solution is to own another music player. I bought a Sony Walkman two years ago. Unfortunately, the product is now discontinued. 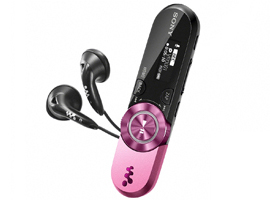 However, it can be whatever brand you like as long as it is cheap and plays music. 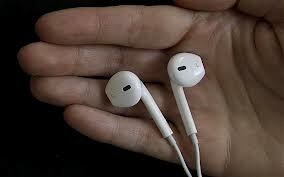 The best device that I ever owned that greatly helped me in preventing “holdap” is a pair of earphones. Yes, just that. There are times that I connect the earphone to my phone and play some music then I coil it, wrapping it around my wallet. This makes my smartphone and wallet inseparable. If someone tries to take my smartphone or cash, they can accidentally plug out my earphones from the phone (thus stopping whatever I am listening to) or tug it then I would feel or notice what they are doing. These are simple precautions that we can do but being alert at all times can sometimes do the trick.